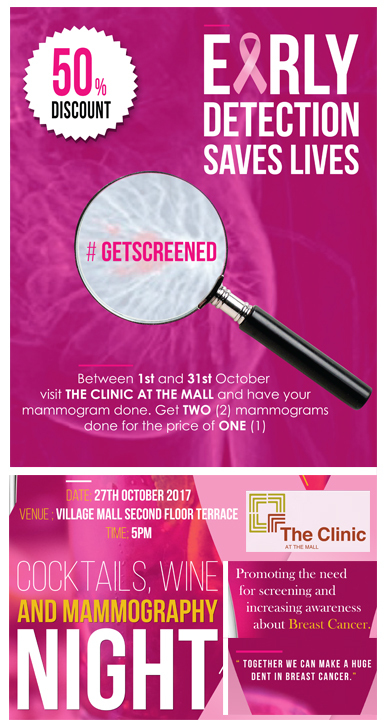 The Clinic At the Mall – Delivering advanced healthcare that is easy to reach! 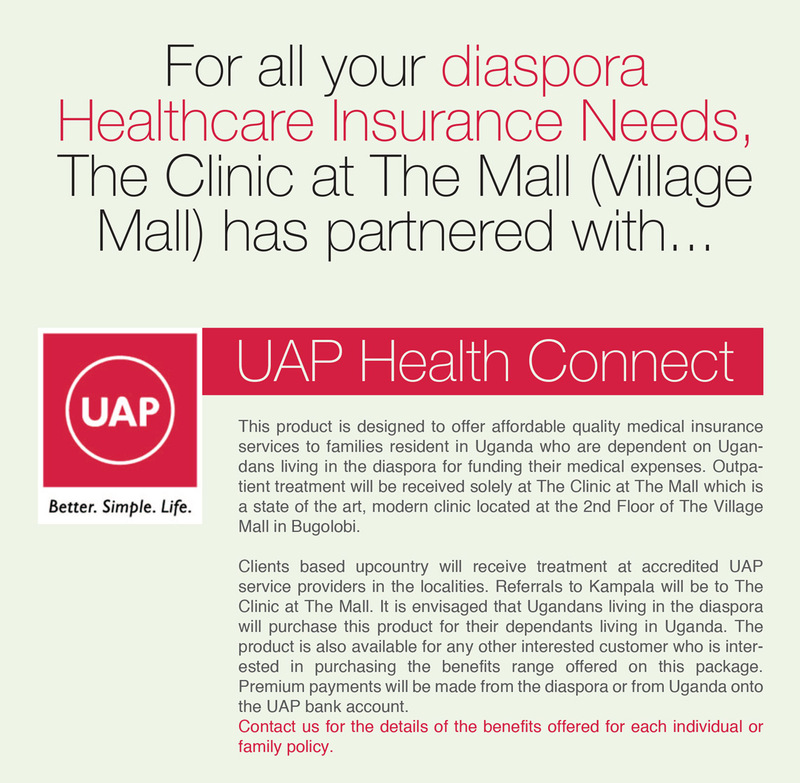 The Clinic at The Mall opened its doors in January 2015, seeking to become your new medical home by providing high quality, personalized healthcare services that are easily accessible to discerning individuals and families in Kampala and beyond. Our goal is to engage patients in personal healthcare and encourage them to become proactive in the maintenance of their well-being as well as understanding themselves as a whole. By delivering advanced healthcare that is easy to reach. Our staff includes highly trained and qualified Internal Medicine physicians, nurses, a radiology technician, as well as a lab technician. Our office has a partnership with the Columbia Asia Radiology group and houses an on-site Radiology department that is fully equipped with a digital x-ray machine, digital mammography machine, ultrasound, and CT Scan. We provide EKG, echocardiography and Holter monitoring. We offer a complete analytical laboratory as well as fully stocked dispensary to serve the needs of each and every one of our patients. We are a healthcare center that provides high quality personalized services to our esteemed patients. We aim to disrupt the current healthcare delivery standards here in Kampala by fostering the change we believe you deserve. The Clinic at The Mall is a comprehensive primary healthcare center where we promote health and well-being of all who walk through our doors. We do this by providing high quality care services as well as empowering our patients to manage their own health and wellness. We focus on prompt diagnosing, treating acute and chronic illnesses at the same time emphasizing preventive medicine. Please fill out the form below to make your next appointment with us.